Madras High Court today disposed of a Public Interest Litigation (PIL) seeking a direction to the Chief Electoral Officer (CEO) to refrain from issuing any instructions, directions or orders to the Tamil Nadu Public Service Commission (TNPSC) with regard to publication of results for various examinations conducted by it. 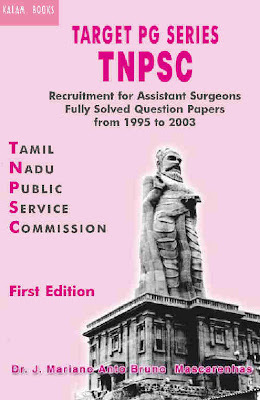 A PIL filed in the Madras High Court, seeking a direction to the Chief Electoral Officer to refrain from issuing any instruction, direction or order to the Tamil Nadu Public Service Commission (TNPSC) with regard to publication of results of the examinations conducted for filling up 1,800 vacancies of doctors, was disposed of today. The petition, filed by one S Prabhakaran, was disposed by a division bench comprising Chief Justice A P Shah and Justice Prabha Sridevan as EC's Senior Counsel Rajagopalan, said EC had no objection if the TNPSC finalised and published the list of candidates and forwarded the same to the State Government. The bench said the EC's counsel had also submitted that after receiving the finalised list, it would be open for the government to approach the EC for making appointments. In view of this no order was necessary in the petition, it said. In his petition, Prabhakaran submitted that he came across newspaper reports which stated that the Chief Electoral Officer stated that he had issued directions to the TNPSC not to publish any result of the examinations already held by it until the state assembly polls were over. Holding examination and declaring results were the duties of the TNPSC and such a constitutional duty cannot be curtailed or interfered with by the EC. The EC shall not transgress into the powers and functions of another independent constitutional body by attributing to itself a power, not vested upon it by the constitution, he contended.